Look alive everyone, because it’s that time of year again. Get ready for twinkling lights, carols in November and the gargantuan task of Christmas gift shopping. Perhaps we are giving you an excuse to go window shopping by tempting you with our latest finds, but at the very least if you’re in the market for a gift, we’ve got you covered. 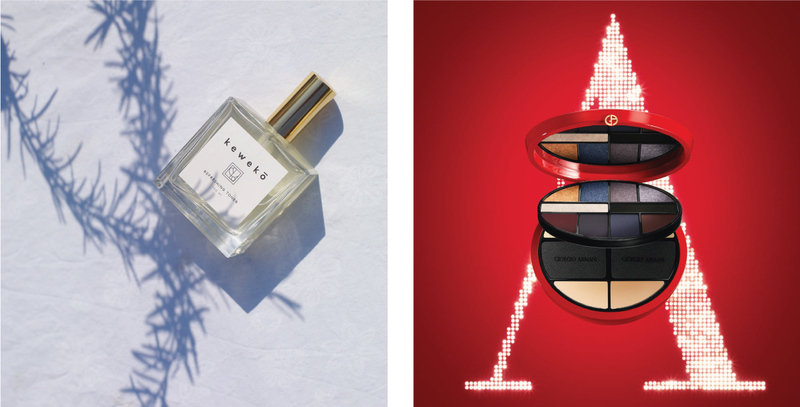 This is our 2017 Christmas Gift Guide for Makeup Artists. Just when you think Zoeva can’t top their current brush sets, they release their newest range Opulence, containing a decadent set of 10 brushes in an amazing new colour. The description alone is enough to make us drool. 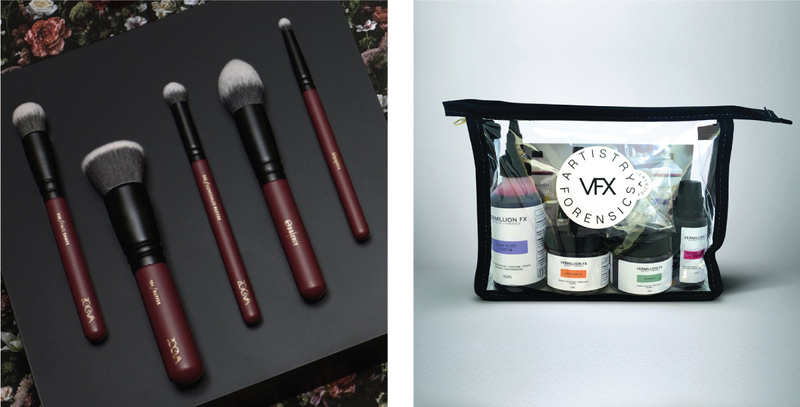 ‘Artfully coated in a deep plum color and topped off with an elegant matte black embossment.’ The burgundy pouch that accompanies the brushes also has a gorgeous gothic-esque floral lining. Oh, the beauty. It’s like chemistry class for makeup artists. Newer brand Vermillion FX: Forensics and Artistry has been constantly impressing us with their clean, modern branding and curated collection of FX products. 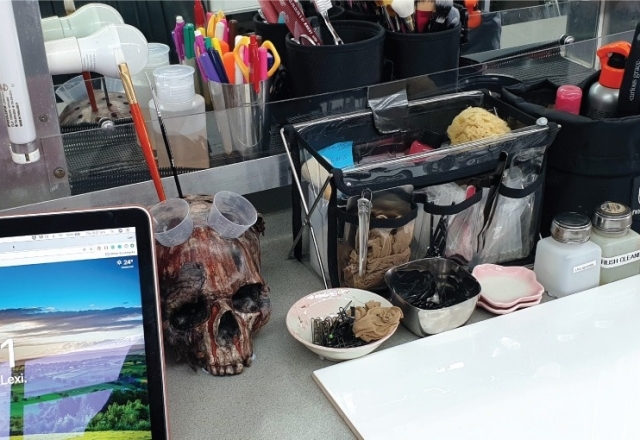 They are striving to set a new standard when it comes to SFX realism by offering professional bloods and gels developed by makeup artists in collaboration with forensic pathologists. 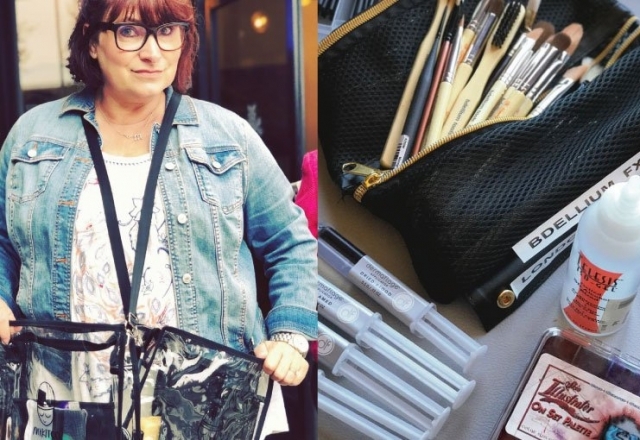 This essential kit is perfect for newer artists trying to build up their kit! You’ve heard us say it before on the blog and we will say it again. We are obsessed with Kym Sainsbury’s FX brush and believe that it is truly a non-negotiable in your makeup FX kit. 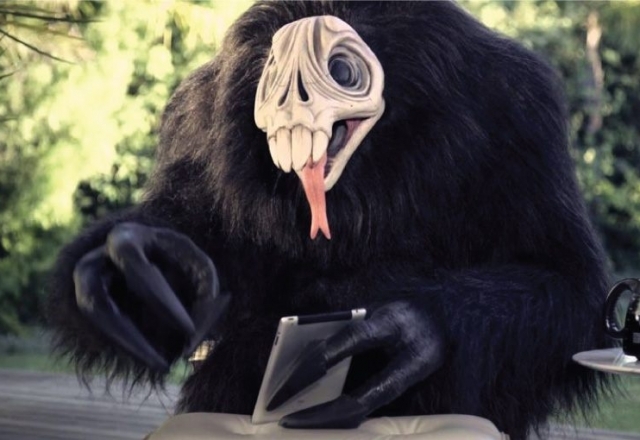 So, of course, it makes a perfect christmas gift for makeup FX artists. It will make your life easier when it comes to working with prosthetics and character makeups, and we can’t get enough of it. 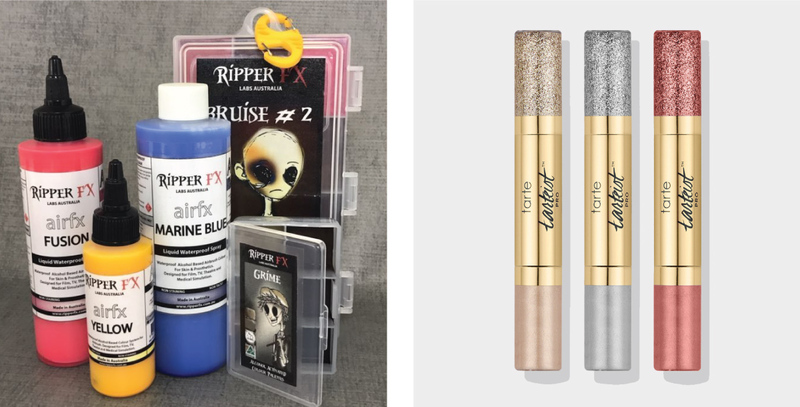 Another great gift idea for makeup artists comes to us courtesy of local Australian brand Ripper FX. 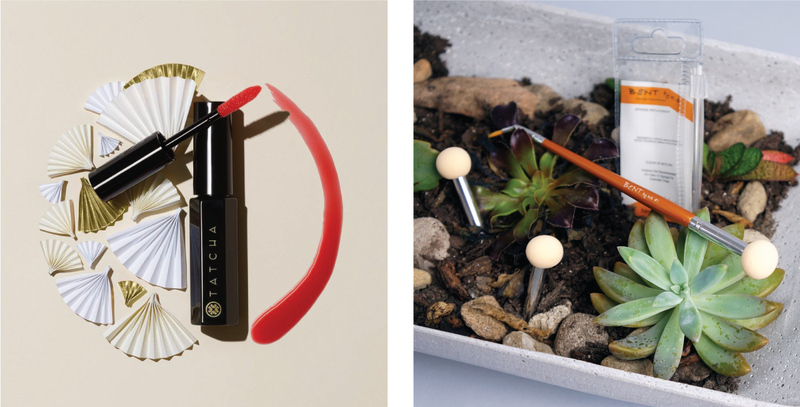 Talented girl boss Nicola Richards of The Makeup Foundation has spent this year working to launch a new amazing range of alcohol palettes and inks, which are now available to buy online or in-store. Her alcohol palettes come in a array of colours options and are completely unique in their design to anything we’ve ever seen. We especially love the clip for easy travel.